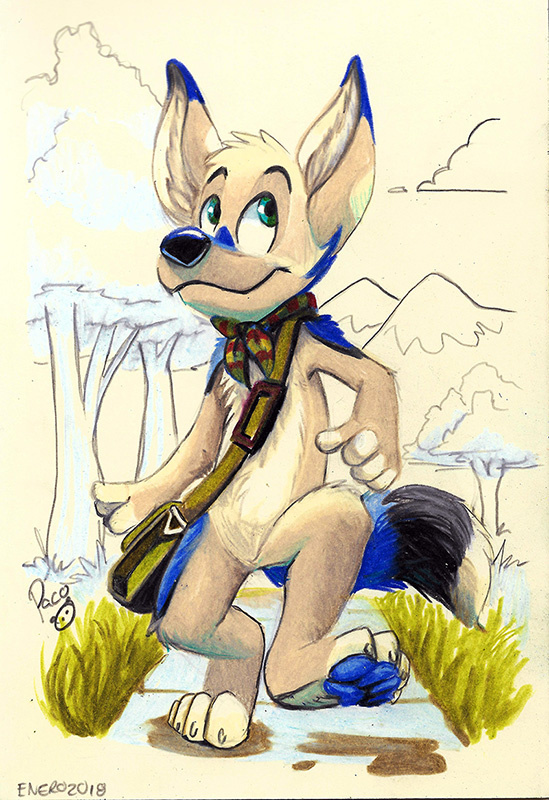 This Jackal is Naylen, walking happily through the park. Traditional. Colored pencils + inks.